Being one of the most abundant species in the seas, sandeels are a very important food for many species of fish, birds and other marine animals, and more or less hold the marine food chain together. This year sandeel numbers in the North Sea are estimated at only 150 billion fish, which is way below critical levels to sustain any fishery. The North Sea sandeel fishery was expected to be closed indefinitely within weeks of writing this (September 2007) and the Danish fishery has already ceased. This is good news for the many species of birds that feed on sandeels, some of which have been in severe decline due to a shortage of the eels. 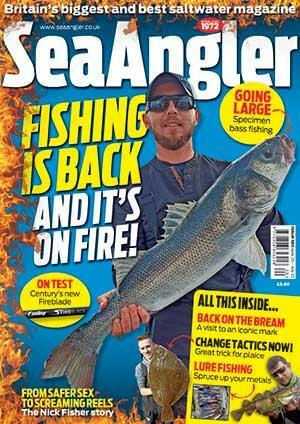 Obviously any fish species that feeds on sandeels will now have a better chance of survival. There are several species present around the British Isles, including Raitt's sandeel (lesser sandeel), Corbin's sandeel, and the greater sandeel (launce) that features on the British rod-caught mini-species record list at just over 8oz. Live specimens are usually difficult to obtain, and are usually caught by accident on small lures, although there are areas where very small lures can take them in numbers. They are keenly collected for bait and either used immediately or frozen for later use. The bigger specimens, or launce, are often hooked on mackerel gear. Sandeels can be collected by digging on a sandy beach. In areas where they exist in numbers, a special tool known as a vingler can be used to collect them. This is a long-handled rod with a curve at the end, which is drawn through the sand. 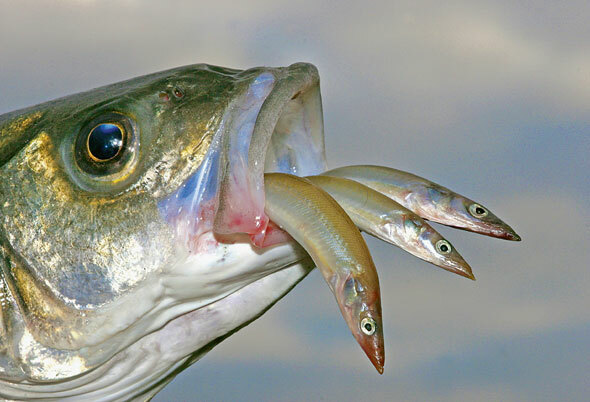 Individual eels are then caught in the inner bend and extracted. They can be kept alive for a few hours in a bucket of seawater, and a bit longer in cool, aerated water, but it is difficult to keep them alive for more than a day or so. A wooden container with holes in it – known as a courge – can be used to keep them alive while you are fishing. Alternatively, you can use a wicker basket that allows oxygenated water to pass through, but stops the sandeels from getting out. The container is then hung over the side of the boat or pier. The good news is that there are some companies that catch and blast freeze sandeels for use as bait, and most anglers will be very familiar with vacuum-packed frozen sandeels. The even better news is that frozen sandeels often outfish fresh ones. The frozen eels should be kept in a small cool box with freezer blocks and used selectively as the fishing session progresses, or they can be removed from their wrapper and stored in a vacuum flask. Once defrosted they are surprisingly tough, but will eventually become soft if not used within a few hours. Treat them well and they won't let you down. Sandeels are very fast swimmers, so when you are trolling or freelining you need to retrieve quickly. A fast-retrieved bait – often retrieved a lot faster than you think would be necessary – will often outfish a much slower bait.